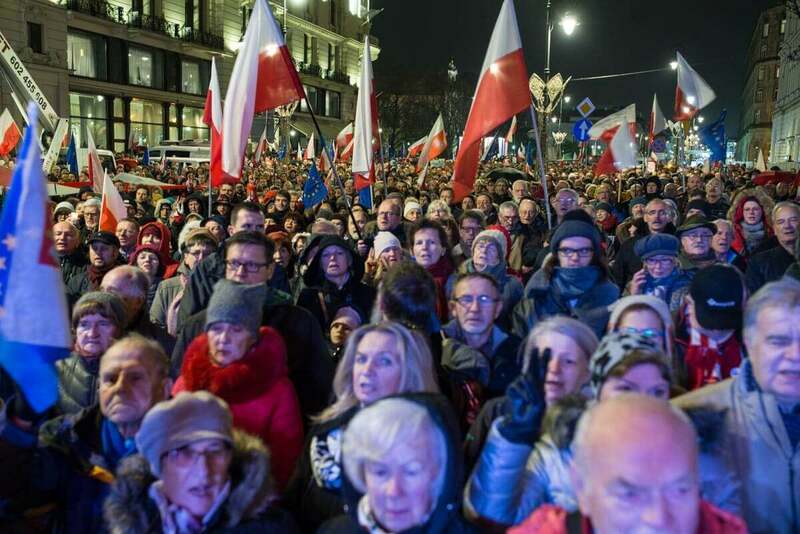 On Friday 24th November at 7 pm, massive protests were held in more than 100 cities and towns across Poland. 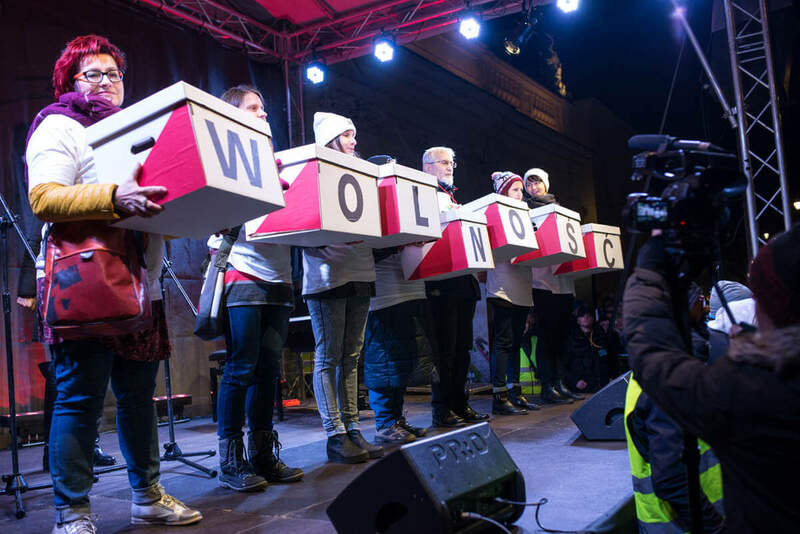 Free Courts, Free Elections, Free Poland (Wolne Sądy, Wolne Wybory, Wolna Polska – 3xW) – was the common slogan and theme for protests staged last week against unconstitutional proposed changes to the National Council of the Judiciary and the Supreme Court . 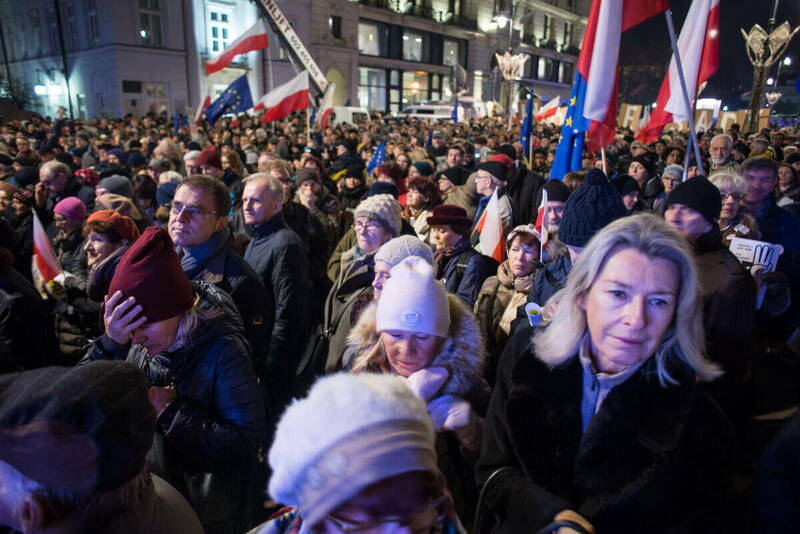 The biggest protest was held in Warsaw in front of the Presidential Palace. 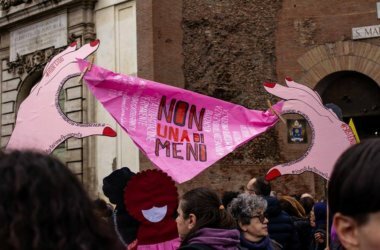 The controversial proposals are aimed to put the organization and approval of the elections under the indirect supervision of the ruling Law and Justice party. 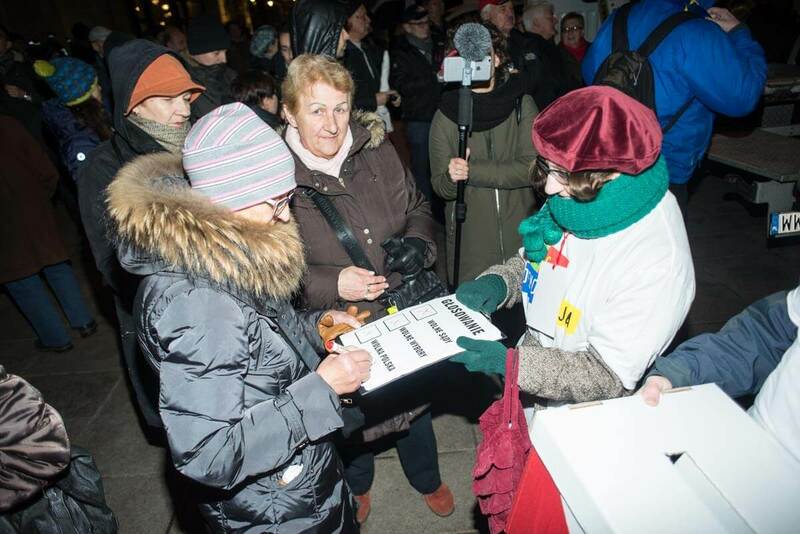 Akcja Demokracja mobilized people all over Poland and published guidelines for those who wanted to stage local events. 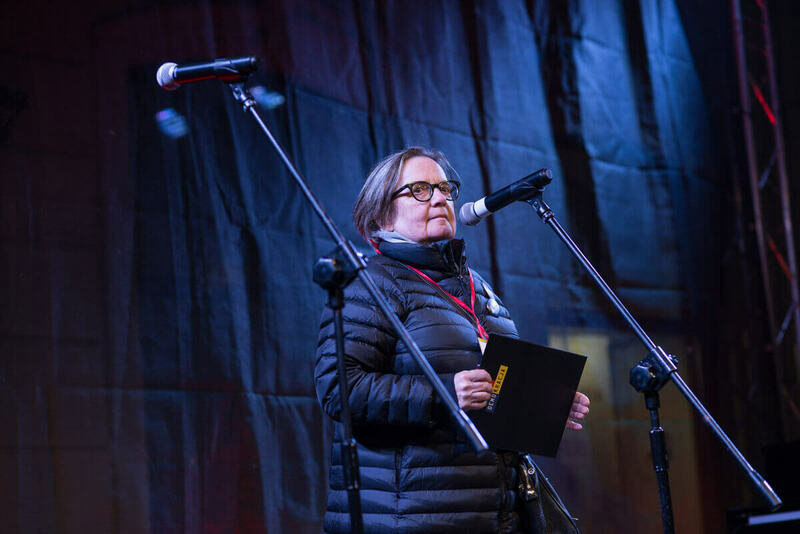 The organizers called for a somber atmosphere without partisian or organizational flags and emblems. 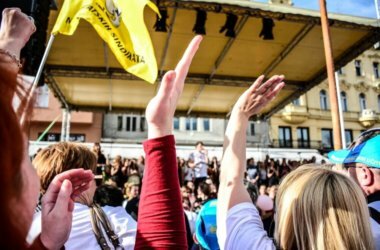 There were also a couple of protests abroad (Copenhagen, Zagreb) in front of Polish embassies to show solidarity with those protesting in the country. 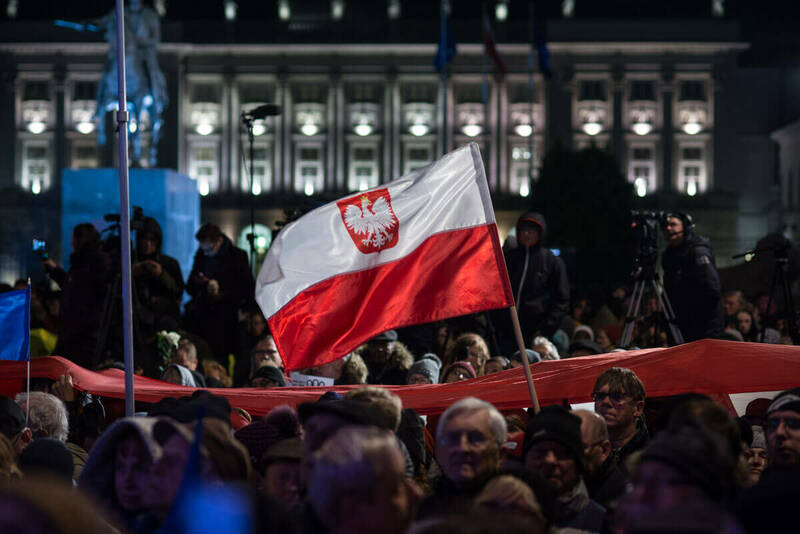 “Without free courts and free elections there is no free Poland. In Belarus, a country bordering Poland, these institutions were taken over before the elections were rigged. 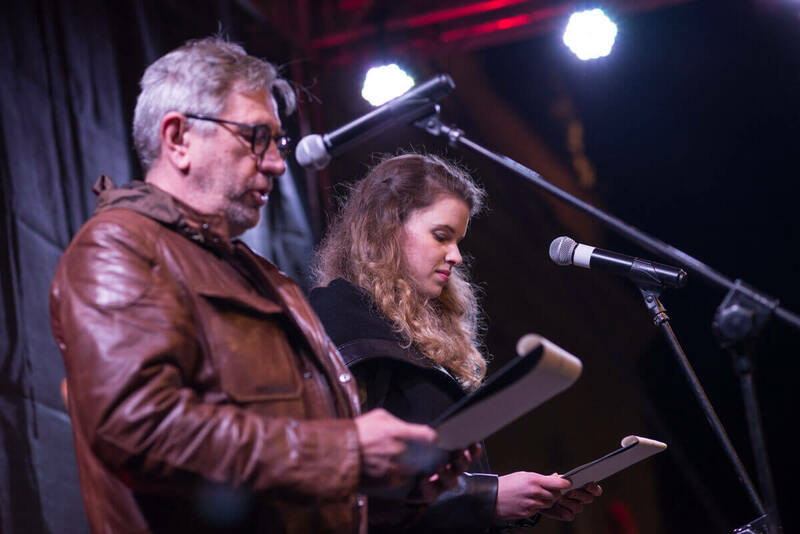 Our place is within a democratic Europe, where politicians do not affect judicial decisions or conduct elections.” says Weronika Paszewska from Akcja Demokracja. Numerous organizations urge the MPs to immediately cease the parliamentary procedure on the judiciary bills and undertake comprehensive public consultations. This article is published under a Attribution-ShareAlike 3.0 Unported (CC BY-SA 3.0) licence. If you have any queries about republishing please contact us.